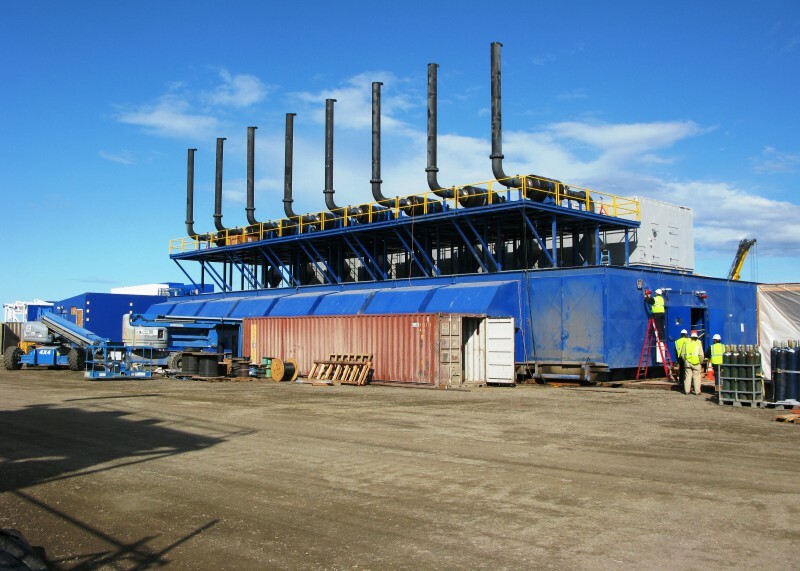 IMP was enlisted to supply a client with a 15MW modular gas power plant that could be quickly deployed. IMP identified a large power plant at an on-shore rig in Alaska that was being decommissioned, and arranged the acquisition. Logistically, with a narrow navigation window, moving the power plant–totaling more than 695 tons–proved difficult, especially with the thick sea ice surrounding most of the outer island. The decision was made to dismantle the plant into its separate modules and split the load between two barges in order to facilitate the relocation.